Ace Atkins (The Broken Places): Robert Crais taking on Marlowe with an old case that connects to Elvis Cole. Kenneth Wishnia (The Glass Factory): I’d like to see Megan Abbott do a story from the perspective of one of the classic femme fatales of the hardboiled era, like Phyllis Nirdlinger (Double Indemnity), Brigid O’Shaughnessy (Maltese Falcon) or Carmen Sternwood (The Big Sleep). Chris F. Holm (The Big Reap): Duane Swierczynski taking on Parker. For one, I happen to know he loves the character as much as I do, which is saying something — so you can be sure he’d honor Westlake’s greatest creation at every turn. 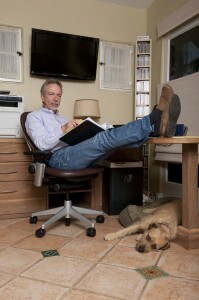 And for two, it’s clear from Duane’s own fiction that he truly learned at Westlake’s feet, writing taut, propulsive, thrilling novels that still manage to go down less like a handful of Pixy Stix than a full-fledged meal. Could a Swierczynski Parker novel reach the giddy heights of Westlake at his prime? That I couldn’t say. But it’d be a kick to see him try. 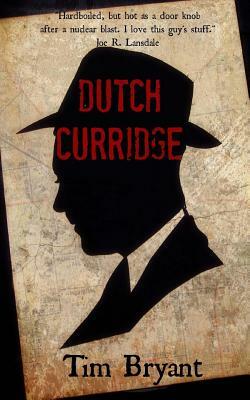 Hilary Davidson (Evil In All It’s Disguises): I’d love to see Chris F. Holm continue Dashiell Hammett’s Continental Op series. The nameless, crafty, and preternaturally intelligent Continental Op wrestles with morality and his diminishing sense of humanity in a way that has intriguing parallels with Holm’s Collector series, which features a dead-yet-earthbound soul collector. In both cases, smart, sharp, incisive writing make Hammett’s and Holm’s exploration of shades-of-gray characters intriguing. And, having seen Holm’s take on demons, I’d love to see what he’d do with the boss of the Continental Op’s agency, the Old Man. We’re looking forward to this month’s Hard Word Book Club discussion of Dig Two Graves by Eric Beetner (Wednesday, July 31 at 7pm). The lean and mean (under 200 pages) book involves the violent night of a a professional robber as he tracks down his prison lover with cops and gangsters on his tail. Eric will be skyping in to join our conversation. As you can tell from this interview we recently did with him, it should be an informative discussion. MYSTERYPEOPLE: What’s interesting about Dig Two Graves is that you take a lot of the homosexual subtext that some believe to be in some hard boiled novels and make it text. How did the idea come about for going after a prison lover for revenge? ERIC BEETNER: Revenge stories are nothing entirely new, so I wanted to mix it up a bit. I thought the idea of this guy battling his own heart and his own desires as well as his sense of honor and the criminal code was interesting. Obviously Val is not entirely homosexual, or at least he hasn’t admitted it to himself. The way he feels for Azin indicates he could go both ways. But the dueling identities within him I think make him a pretty interesting guy. As far as subtext in other books, I tend to think most of that is BS. It seems like something grafted on long after the fact and perpetuated by either the revelation that an author was homosexual, or by the fact that writers weren’t “allowed” to have a gay character in the classic period anyway of the 40s and 50s. It lets people read subtext where there is none. Not that it didn’t happen, but not as much as some academics claim. In my opinion anyway. MP: Val is a pretty rotten character who doesn’t even have the level of professionalism of someone like Stark’s Parker, yet I stayed with him. How did you deal with the challenges of writing about such a lowlife? EB: Writing lowlifes with rooting interest seems to be my wheelhouse. I’ve been very pleased to hear great feedback on a few of my books where the main characters could be seen as despicable jerks. We discussed this a bit on a panel recently with Johnny Shaw, Seth Harwood, Gary Phillips and Paul Bishop and my response then was that as long as a character is secure in his or her own moral code, I think you can get away with a lot more. Since Val is confident in what he is doing and has justifications that he can explain well, the audience tends to see his logic and go with it. Also, he’s brokenhearted. Who doesn’t relate to that? It’s something I work hard to do – to make characters who do morally questionable or reprehensible things into real, relatable humans. A dash of humor goes a long way. If a character is fun to spend time with, you’ll forgive some of the things that happen when you’re hanging out. MP: Like a lot of great noir, Dig two Graves comes off as a fever dream. How important is style to your work? EB: I like stories with a compressed timeline and I think the way Dig Two Graves happens in such a short period of time adds to the rush. Being a novella, too, I was intentionally being brusque with the language. Keeping things tight. Truncated. Clipped. Style is important, but I’m certainly not a stylist over a plotter and character builder. I admire books with great style like Frank Bill’s Donnybrook or the Sailor and Lula books of Barry Gifford. Or Pike by Benjamin Whitmer. All unique styles with a singular voice. I tend to keep things more straightforward, perhaps use too many similes (but I love them like a dog loves a bone) and make sure the story is clear at all times. 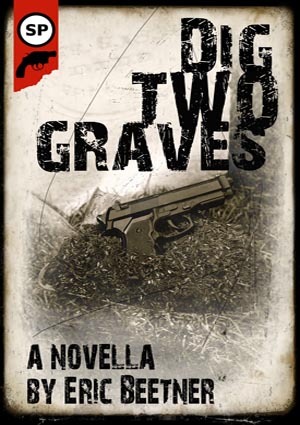 MP: Dig Two Graves is a novella and much of your short fiction (most is collected in Bouquet of Bullets) is really short. Is brevity one of your goals as a writer? EB: I think it’s a product of my busy mind and my writing schedule. I only get a short amount of time to write late at night after the kids are in bed. I write in bursts that are highly productive, but compressed. That has something to do with it. I also prefer shorter works, usually. I come from a film and TV background and once you get in the mindset that you can tell a fully fleshed story in 90 minutes, why do you need to bloat it out beyond that? I know everyone always says, “The book was better.” But I don’t always agree. Very often brevity is what makes a story exciting and engaging. I believe in letting the audience fill in the blanks. It keeps them engaged. Crime novels used to be much shorter in the Gold Medal paperback era. You look at something like The Postman Always Rings twice and then that is only slightly over 40k words. And it works great. I have no problem if someone wants to write or read huge tomes. More power to you. I also only get my lunch hour at work to read, so my reading goes the same way as my writing. I feel more accomplished when I read something shorter and it doesn’t take three weeks to finish it. I’d never get to read anything else if I decided to start reading George RR Martin. I also can’t deny that my day job as an editor for TV informs my creative life tremendously. My brain is wired to trim the fat, keep things moving, cut to the chase. I bring that to my writing without realizing it. MP: You’re also a graphic artist, designing most of the covers for Snubnose Press. Does the visual art feed the writing for you? EB: No. That is a lark and I can’t believe I’ve been able to snow people for this long (44 covers and counting) I’m one of those jack of all trades, master of none type of pseudo Renaissance men. I’ll try anything, so I tried making book covers for my own books when the options I had were not to my liking. I’m a very DIY kind of person, sometimes to my detriment. But it’s a great little side venture that allows me to flex a different part of my brain and it’s a ton of fun and I’m quite proud of a lot of the covers I’ve done. Especially considering I don’t have the full version of Photoshop, have never taken a class and generally don’t know what the hell I’m doing. MP: It’s obvious from your work that you’re a fan of dark, hard boiled fiction. Who do you think is one of the most unsung writers in the genre, either past or present? I’m a big fan of vintage pulp fiction and I wish people would get beyond the Hammet, Candler, Cain triumvirate. I think Chester Himes never gets enough recognition. His first chapters are always some of the best “grabbers” I’ve ever read. William Ard is one of my favorite old pulp guys, along with Lionel White, Harry Whittington, Day Keene. Today, I wish more people read Sean Doolittle, Allan Guthrie, Mark Conard. Writers with decent followings who could still break through to the Gone Girl size audience are people like John Rector, Owen Laukkanen, Duane Swierczynski, Victor Gischler. 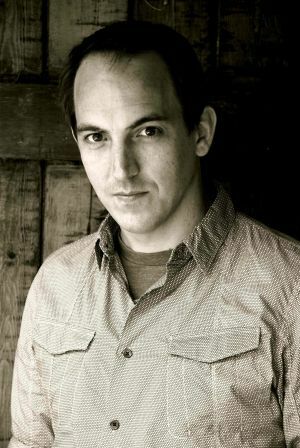 I recently found Grant Jerkins who I am liking a lot. Johnny Shaw has written two of my favorite books in recent years. And my fellow Snubnose brothers and sisters. There are some really great books Snubnose has put out. Proud to have my cover art adorn these fantastic books. If you liked Dig Two Graves, you’ve got to check out A Wind Of Knives by Ed Kurtz. I think they would make a great Ace Double edition with two books in one. His is about a gay man seeking revenge on the men who killed his lover in the old west. Great stuff. 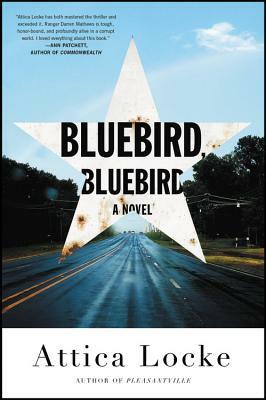 Eric Beetner will Skype into our Hard Word Book Club meeting this Wednesday, July 31 at 7pm. The discussion is free and open to the public. You’ll find us up on BookPeople’s third floor. Copies of Dig Two Graves are currently available on our shelves at BookPeople. 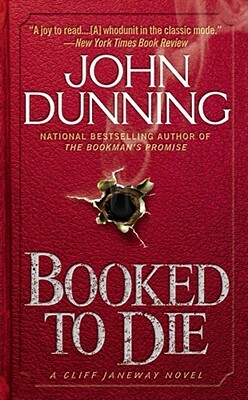 The American political and justice system has provided the backdrop for classic books as diverse as Ross Thomas’s political thrillers, Robert Penn Warren’s All The King’s Men, Richard Condon’s The Manchurian Candidate, and Harper Lee’s To Kill A Mockingbird, as well as countless other suspense novels. In my mystery/thriller Corrupt Practices, attorney Parker Stern defends a client who’s charged with embezzling millions of dollars from a sinister church. Among the themes in the novel are the fairness of the justice system and the limits of religious freedom. This brings me to the June 25, 2013 session of the Texas State Senate. As a native Californian, I haven’t paid much attention to Texas local politics. But I was among the 180,000 YouTube viewers riveted to a live stream of Senator Wendy Davis’s filibuster of SB 5, a controversial anti-abortion bill. While the social and moral issues were, of course, paramount, I was also struck by how the whole proceeding unfolded with the type of suspense that you find in the best mysteries and thrillers. Why was the debate so dramatic? Like a good work of fiction, the Davis filibuster provided for intense conflict. Sure, one reason is the substantive issue—mention the word abortion and there’s conflict. My own novel involves an unscrupulous and powerful Los Angeles cult, a concept that has generated a strong visceral response in some readers. But it isn’t just the overriding issue that makes for good suspense, either in fiction or in life. While other states have passed restrictive abortion laws, those debates didn’t capture a nation’s attention. What was different about Texas? For one thing, the debate on SB 5 involved the classic mystery/thriller device of a “ticking clock”—literally. The bill’s proponents had to pass the legislation before the proverbial stroke of midnight. For them, every tiny delay compressed time. Conversely, because the bill’s supporters wanted to run out the clock, time slowed down for them. When time flows at anything other than a normal pace, there’s dramatic tension. This created what might be called mini-conflict. Each motion to end debate, each point of order, each parliamentary ruling, and each motion to table affected the end result. There’s another reason why the Texas Senate debate was so compelling—Wendy Davis. That’s true whether you agree with her or not. She has a fascinating backstory—she began working at fourteen to help support her family, married young, became a teenage mother, divorced, and then improbably graduated from Harvard Law School. During the debate, she wore pick tennis shoes and a back brace. Her challenge in the filibuster was both physical and intellectual—stand and talk for fourteen hours, don’t lean on the desk, don’t take bathroom breaks, don’t get assistance, stay on point. She made an interesting, somewhat quirky protagonist. In that way, Davis shared characteristics of many mystery and thriller protagonists, who often face both physical and intellectual challenges in pursuit of their objective. Parker Stern in Corrupt Practices suffers from stage fright so severe that he becomes physically ill in court and so has to overcome physical, as well as intellectual, hurdles. Like all good dramas, the Davis filibuster involved moral ambiguities about process and people. I’m not referring to whether the bill should’ve passed. I suspect that each side believes that there’s no moral ambiguity about that. But the debate raised other questions. Was this drama about the tyranny of the majority or an obstructionist minority? 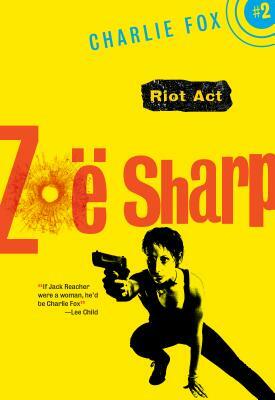 Was the protagonist brave and selfless or rather engaging in a publicity stunt to advance her political career? What about the audience members who ultimately delayed the bill past midnight with their cheering and shouting—were they idealistic supporters of human rights or an unruly mob thwarting the will of the majority? 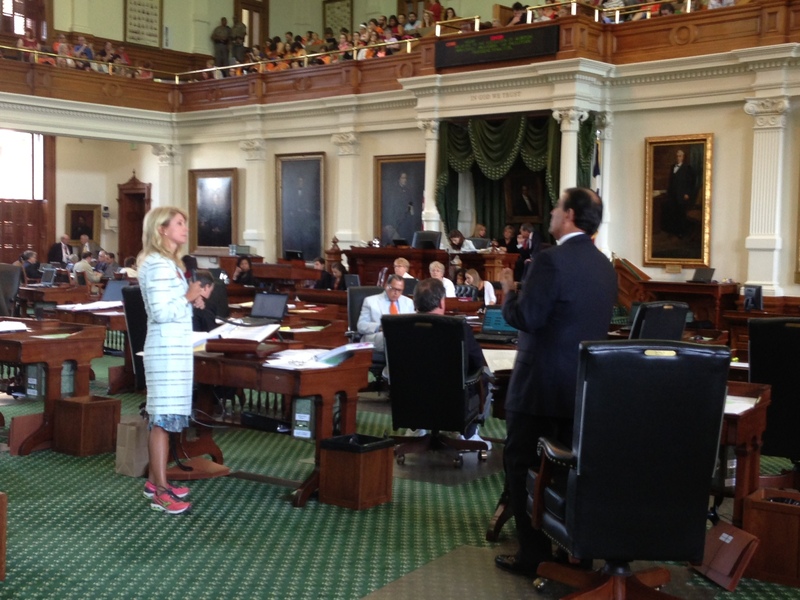 In short, the Texas filibuster had all the trappings of a classic political thriller. And that’s why an ordinarily dry, technical political skirmish became high drama that unfolded before the entire nation. Robert Rotstein is an entertainment attorney with over thirty years experience in the industry. He’s represented all of the major motion picture studios and many well-known writers, producers, directors, and musicians. He lives with his family in Los Angeles, California, where he is at work on the next Parker Stern novel. Corrupt Practices is currently available via bookpeople.com. We’re starting up our History Of Mystery series again on Sunday, August 4th. In this monthly meeting, we look at an author who had a major impact on crime fiction. 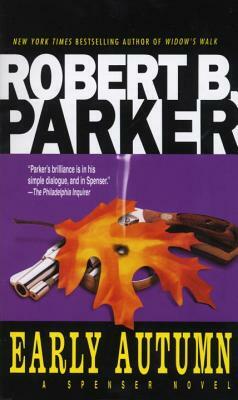 Our next author had a major influence on anybody who wrote a private eye novel after him: Robert B. Parker. His book Early Autumn is a favorite among his fans, especially other authors like Ace Atkins, who will be calling in for the discussion. Called “The Dean Of American Crime Fiction”, Robert B. Parker earned a PhD in English from Boston University. His dissertation was on Hammett, Chandler, and Ross MacDonald. In 1971 he introduced us to his detective Spenser in The Godwulf Manuscript, reshaping the tough guy hero for the modern era. He perfected the homicidal sidekick in Hawk. In Early Autumn, he looks at what it means to be a man as Spenser helps a teenage boy find his place in the world. 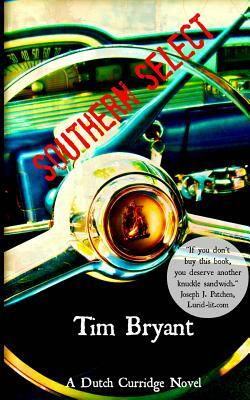 Ace Atkins’ Quinn Colson series owes a huge debt to the Spenser books. His talent and his regard for Parker lead Parker’s widow, Joan, to ask Atkins to continue the Spenser series after her husband passed away. The group meets at 6PM on Sunday, August 4th. You’ll find us up on BookPeople’s third floor. The discussion is free and open to the public. Copies of Early Autumn are 10% off to those who attend.